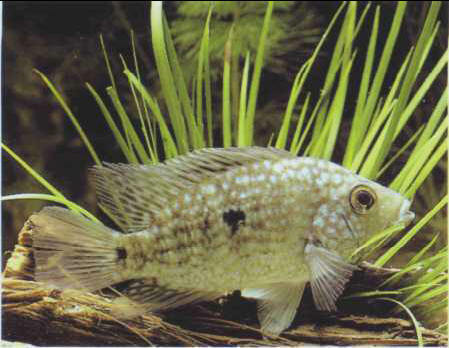 For a long time sold commercially under the name C. biocellatum, the Jack Dempsey (named after the boxer) is properly called C. octofasciatum. A bad character, this, and likely to savage the decor! On the plus side, it spawns prolifically, producing 500-800 eggs. A'n interesting subject for the more experienced aquarist moving on to Cichlids. Size: 20-25 cm.